WARNING: DO NOT GET THIS PRODUCT it gets a 0 out of 5 from me. I will make a full video review on it but it was so disappointing to me. 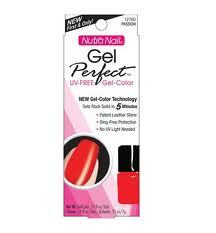 This could be the worst product for at home gel manicures. To add insult to injury the removal of this product took too long, at least 20 minutes, the remover it comes with was just as bad at what it was suppose to do as the product. PURE WASTE OF MONEY. very good to know! thank you for your honesty!